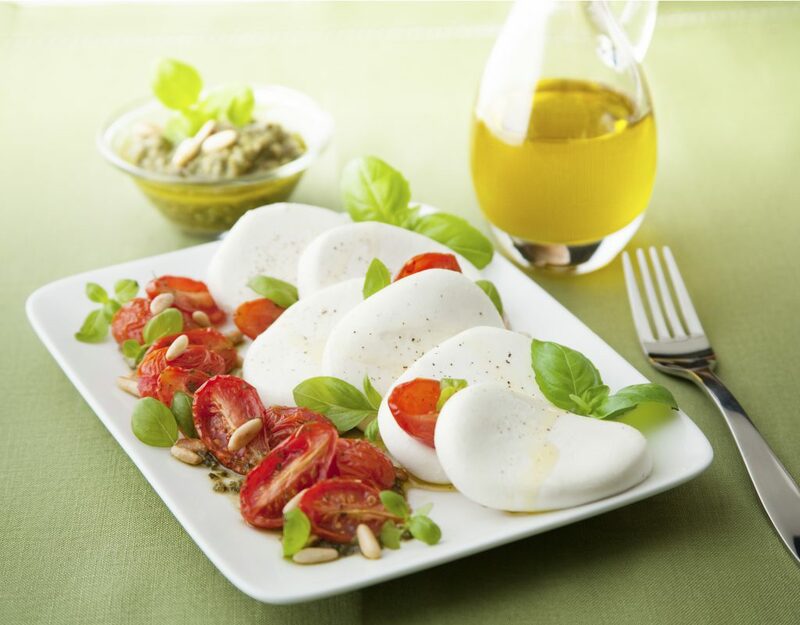 Slice the grape tomatoes and toss with olive oil, dry oregano, salt and pepper. Bake in a 350 preheated oven for 10 minutes until the tomatoes soften. While the tomatoes are cooling, arrange the Galbani® Medallions on a serving dish. Spoon the pesto along side. Add the roasted tomatoes on top of the pesto, pine nuts, basil leaves, and a dash of olive oil.